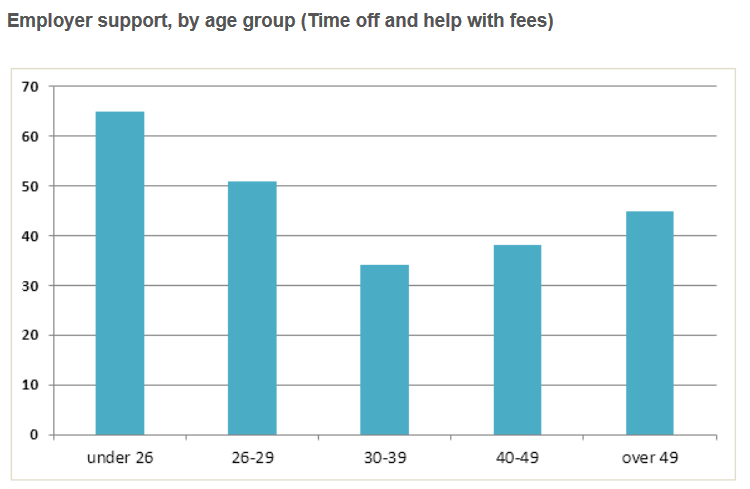 To illustrate, eight of ten people under 26 years old continue education for their career. Only 10% of them do it from passion. 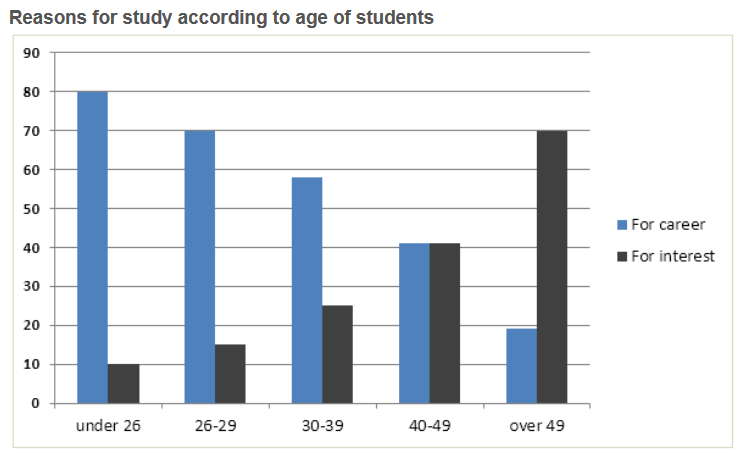 Interestingly, the higher the age, the more eager they become to study for personal interest, not for professional reasons. This translation is from Laokaoya website. Seven out of ten people who are at least 50 years old study for interest. Finally, these two factors equally motivate people from 40-49 years old to further their learning.